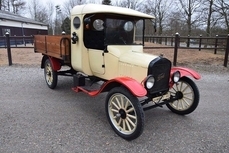 Allmän beskrivning : This is a beautiful completely restored 1924 Model T Pick Up. 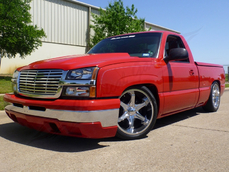 It’s restoration has just been completed by Integrity Restorations in Fort Worth, Texas. It has new paint, new radiator, new starter and a gorgeous new Oak bed floor and new Oak side rails. The truck still has the functional side lamps which only improve the classic look. 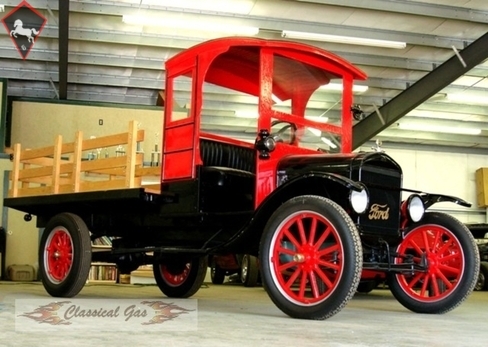 The original 4 cylinder flathead motor runs great and the 2 speed transmission shifts smooth. There is no chance of parking next to another one at any car show. This little jewel will make a great addition to any serious collection or museum. 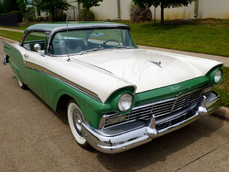 It is also a great idea for parades or any car show! 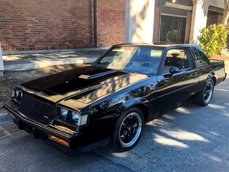 A beautiful rare piece of automotive history! 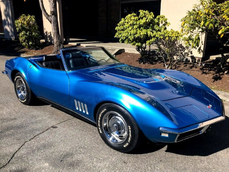 You will be sitting above the rest of traffic in this great ride so hop on in and take it home! This museum piece could be yours for $25,000.00!! 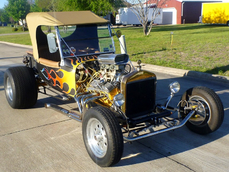 1924 Ford TT is listed till salu on ClassicDigest in Arlington by Cris & Sherry Lofgren for $25000.